Home Tags Posts tagged with "venezuelan authorities"
Venezuelan authorities have urged President Hugo Chavez’s supporters to join a major rally on Thursday, when he is due to be sworn in for a fourth term. Hugo Chavez, in hospital in Cuba after cancer surgery, is unlikely to attend. But Venezuelan National Assembly Speaker Diosdado Cabello said many heads of state would be in Caracas to show their support. The Catholic Church says ministers risk violating the constitution and the opposition have called for protests. The opposition insists new elections should be called within 30 days if Hugo Chavez is unable to take the oath on January 10. 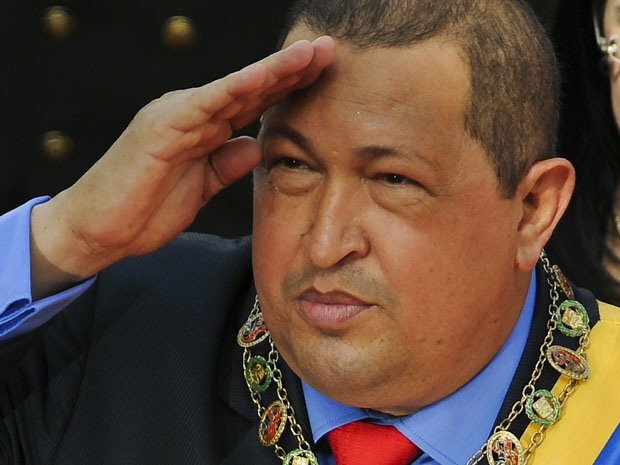 Hugo Chavez, 58, who has been in power since 1999, has not been seen in public since his latest operation last month, and government officials have acknowledged that he has suffered complications caused by a lung infection. The president’s condition was “stable”, Information Minister Ernesto Villegas said in a televised statement late on Monday. “There will be a big gathering here in Caracas on January 10. All of Venezuela is going to come to Caracas and be in front of the Miraflores [Presidential’ Palace. The people will be on the streets,” Diosdado Cabello said. Earlier, the Venezuelan Catholic Church said it would be a morally unacceptable violation of the constitution to allow Hugo Chavez to remain in power after missing his inauguration. The head of the Venezuelan Conference of Bishops, Diego Padron, said Hugo Chavez had to attend his inauguration when his term ended on 10 January. “It is not our job to intervene publically, but in this case the good of the country and the defence of ethics are at stake. To alter the constitution to attain a political objective is morally unacceptable,” added Monsignor Diego Padron. The assembly speaker hit back, insisting that the government “had always respected the constitution and would continue to do so”. “We believe the call made by the Bishops’ Conference today is aimed at the sectors of the opposition and the high echelons of the Church who took active part in the 2002 coup attempt [against President Hugo Chavez],” he said. Diosdado Cabello was re-elected as speaker on Saturday. If Hugo Chavez does not take the oath of office, the Speaker of the National Assembly should act as caretaker president until new elections are held within 30 days, the opposition says. In the absence of President Chavez, Diosdado Cabello and Vice-President Nicolas Maduro are in effect running the country. Attorney-General Cilia Flores said on Sunday that Hugo Chavez could be sworn in at a later date. Hugo Chavez is a “re-elected president, not an elected candidate”, said Cilia Flores, adding that the key date was October 7 when President Chavez was elected for his fourth term.